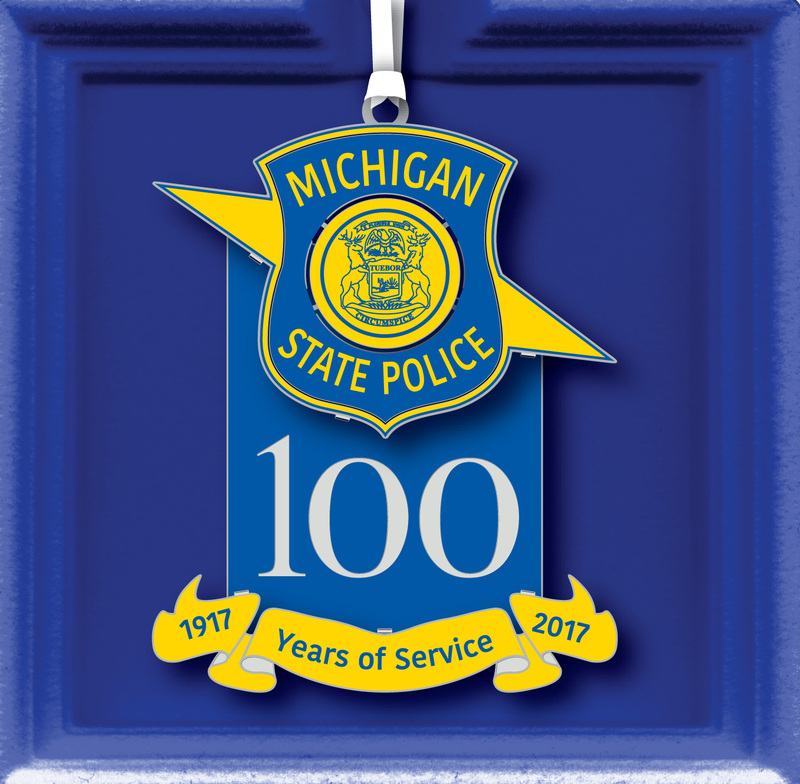 This 2017 limited edition commemorative ornament is crafted from metal and features the Michigan State Police 100th Anniversary logo. Handcrafted in the USA. Gift box included. Items will ship in time for Christmas. If you purchased an ornament and selected to pick it up, they will be available for pick up at the MSP Headquarters on December 6 from 11 a.m. to 1 p.m. Copyright © 2016 Michigan State Police Museum - All rights reserved.